Food ’grams are a divisive subject: You’re either someone who stands on a chair to get the perfect brunch shot or you’re the person at the next table rolling her eyes. But none of us are immune to the spell of a so-beautiful-it-hurts food photo. And these 15 accounts have it down to a science. We wouldn’t have any leftovers, either, if our daily diet were half as amazing as Jackie’s. Now if you’ll excuse us, we need to find some noodles, stat. That composition, though. No matter what she’s snapping, the pictures are always A+. Spoiler alert: Ben eats very, very well. 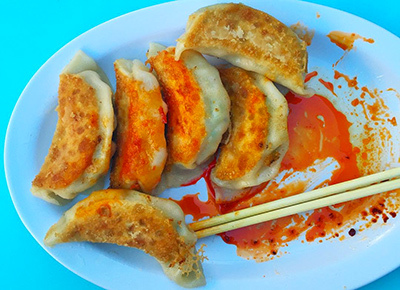 Jill’s gastronomic excursions take her all over the city—and, figuratively, the world—from Georgian khachapuri to Japanese pork buns (from Ippudo New York, since we know you were wondering). Health coach, cookbook author and maker of some of the prettiest superfood bowls we’ve ever seen. Perfectly framed shots? Punny captions? Subject matter that never fails to make us drool? Check, check and check. What this man can do with an avocado is beyond our realm of thinking. Now this is how you do #toasttuesday. We pretty much want to follow Ms. Joy around and eat whatever she eats (like this unreal brunch pizza from Speedy Romeo). This gorgeous feed is like a tutorial in balance: Funfetti cake one day, pitaya fruit bowls the next. Now this is the kind of moderation we can get behind. You won’t find artsy, zoomed-out overhead shots here: Jason Moody’s extreme close-ups are the IMAX 3-D experience of food ’grams.